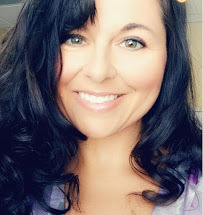 If you came here from Lisa's site, then you are following along fine. Today we celebrate more new stamps from Peachy Keen! They recently unveiled their new line of stamps called Country Bumpkin. They also have some great new face stamps you'll want to check out HERE. Sorry I was late getting my project posted today! I totally dropped the ball. Every design team member on the hop has a $15 gift certificate to Peachy Keen to give away! To enter the drawing, first jump on over to the Peachy Keen blog HERE and check out the Country Bumpkin sets. Then, leave a comment on this blog post with the name of your favorite set!﻿ I will draw a random winner on Thursday. And now through Wednesday (11:59 PM CDT) Peachy Keen Stamps is offering an additional 10% off their tiered discounts when you use PROMO CODE: MINIHOP at checkout! Total savings of up to 20% OFF on everything in the shop! 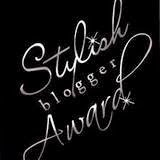 Go HERE to start shopping! 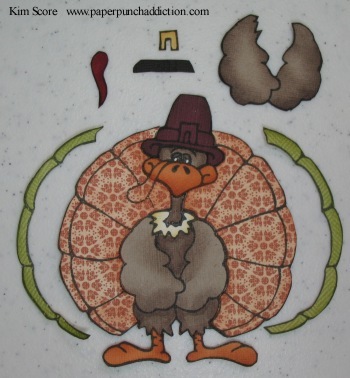 I got to use this cute little guy called Tanner Turkey from the Country Bumpkin collection. Would you believe there is NO COLORING on this little guy? I used a technique called paper piecing and if you want to learn how to make rich looking pieces like this without having a shred of coloring skills, than check out my tutorial below. Head on over to Heidi's site for more great ideas! 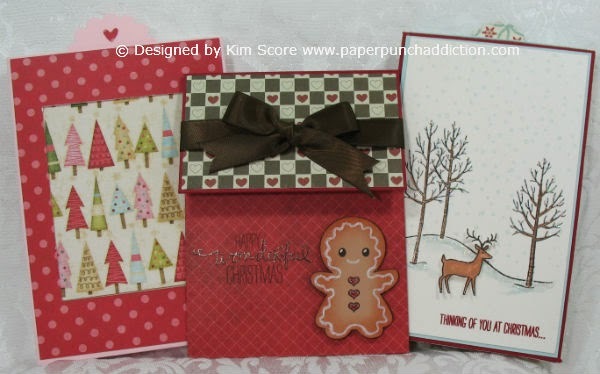 all card stocks, designer papers and inks from Stampin' Up! 1) Stamp CB-03 Tanner Turkey onto Crumb Cake cardstock with Black Staz On ink. Cut out and sponge chest, face, neck and thighs with Chocolate Chip ink. This is optional, but you can use a blender pen and some ink from your Chocolate Chip pad to add shadows around the outer edges of the sponged body parts. Stamp wings on Crumb Cake cardstock, cut out and sponge edges with Chocolate Chip ink. 2) Stamp feet and beak on Pumpkin Pie cardstock. Cut out and sponge edges with Cajun Craze ink. Stamp hat onto Bravo Burgundy cardstock, cut out and sponge edges with Chocolate Chip ink. Stamp feathers around neck onto Very Vanilla cardstock, cut out and lightly sponge edges with More Mustard ink. 3) Stamp hat buckle onto More Mustard cardstock and cut out. Stamp hat band onto Early Espresso card stock and cut out. Stamp waddle onto Cherry Cobbler card stock and cut out. 4) Stamp turkey onto 2 different print papers. Cut out the outer feather pieces on one and the main feather pieces on the other. Lightly sponge the edges with a coordinating ink. I used a retired SU paper for my turkey. 5) Glue main feathers onto body. Glue feet and beak onto body. Glue hat onto head. Glue neck feathers onto body. 6) Glue outer feather edges on. Glue hand band and then buckle on hat. Glue waddle onto face. Attach wings to body with dimensionals. I will hop back by to see if you are posted this afternoon. I love Tanner Turkey! Can't wait to see what you've done for the hop. By the way, I made your accordian fold card yesterday & loved it. Thanks for your constant inspiration. I will comeback to see what you have made!! I will hop by later on! I will hop back later to see what you have created!! I love the uglies asst. so fun!! Love all the eyes! It happens to all of us!! Can't wait to see what you have put together! Wow! That is a hard choice to pick a favorite...I think I would have to say either "Madisyn", "Fall Blessings Acorns", or "Faceless Corn" - they are all so cute!!! cant wait to see what you made. I will drop back by later and see what you have. I am sure it will be great. Thought i would go ahead and leave my comment now. I love the Tanner the Turkey and I love the acorns so cute. The turkey is my favorite from the new releases. 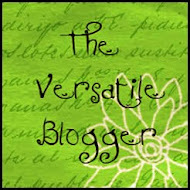 Hi Kim,I have been following you for about a week and love your blog. 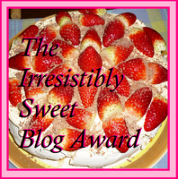 I have an award for you on my blog. Awesome tutorial. Great way to add color without actually coloring with markers or color pencils. The patterned paper gives it a fun look. Thanks so much for sharing. What a cute card--I love Tanner! WOW, this is Amazing, you did a fantastic job!!! Tanner is fabulous - thank you for the tutorial...now top purchase him! Wow - a lot of work, but the turkey is absolutely adorable. Great job!! 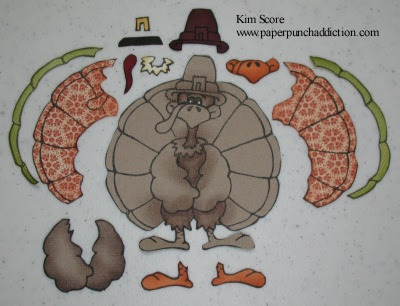 Tanner Turkey - just ordered him and a few other things...fabulous and thanks again for sharing the piecing tutorial! veru cute love that you used pattern paper for him...to cute ! Wow!! Your Tanner Turkey card is so adorable!! Just love the color combination that you used. Your turkey is super cute, but I must say the corn is my new favorite!! that turkey is so dang cute. thanks for showing how you did it - I can't color and it is good to know that how you did it. Love the turkey! He is so cute!! Thanks for sharing! I am lovin Tanner and the tutorial. How awesome that you paper pieced the whole image with all that fine cutting of such small pieces. I love the patterned feathers on your turkey and the instructions are great! Love your turkey! Great job with all the piecing, and the tutorial! Lovely!! I wanna try this! Thanks for the details!! Tfs! Super Adorable. Thank you for the tutorial. 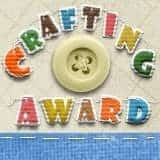 Great tutorial and I just love the paper piecing. The turkey is just adorable! Great paper piecing of Tanner. Hard to pick one favorite but I will go with the Faceless Corn. Love to create turkeys...this one is adorable. love to create turkeys...they are so adorable..thanks for sharing. I really like him. He is so cute! Tanner is adorable. Love your choice to paper piece him. My favorite set would be the You Whooooooo Owl. So cute and I can always use more of those kind of sentiments! Thanks for the inspiration! I love Tanner Turkey...he is so cute!! I like most of the Country Bumpkin's. That turkey is too cute to eat. I guess I'll just have to have ham instead on Thanksgiving. They are all so cute. It is hard to choose which one I like the best. Thanks for the pics of it before assembly, I really like to see this kind of detail, wonderful card! LOVE him! Tanner Turkey is already cute, but you made him soo much cuter!! Hey kim i love ther goblin greetings, he is such a cutie!! cant wait to get him...thanks for the chance for the blog candy.. WOW!!! that card is super cute. that makes me want to get into the spirit, and start cooking. after blog hopping I'm a holloween fan- I love tanner! Great layering! 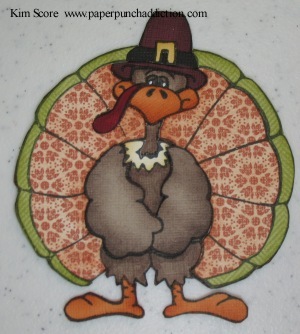 The turkey is adorable, but my fav of all of them is the acorns with the "Oh Nuts' sentiment. TFS! LOVE this turkey!! Thanks so much for showing how you pieced him together!! I love this... this may sound kind of silly but I have often wondered how people stamp and use various pieces for one stamp so I thank you so very much for showing exactly how you do this, I'm so excited to try this now thank you thank you thank you!!! Love your turkey card and the way you paper pieced him together. Fantastic Job!!! Wow! What a great project. Thanks for the recipe. Love this turkey. Oh Kim! I REALLY love seeing how you went about paper piecing this! You are so brilliant, and make it look so easy. This stamp is perfect for piecing, and you've done it just beautifully. I love the layering, too. The dimension is fabulous! I sure enjoyed the card class with you, and took my card to stamp club last night to show it off. Everyone was very impressed!!!! It was great to meet you!!! !